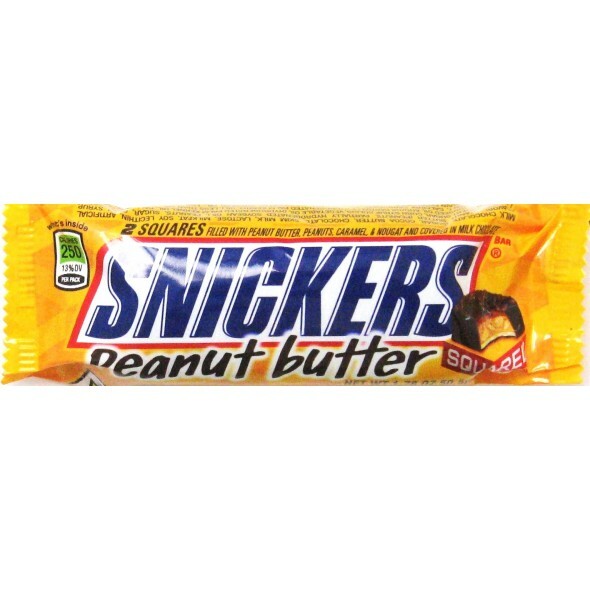 50.5g Peanut Butter Snickers. 2 square pieces in a pack that can be twisted to close if you want to save a square for another time. The squares are filled with peanut butter, peanuts, caramel and nougat and then covered in Mars real milk chocolate.